Skiing is definitely the most preferred winter sport. It is fun, it is not too difficult to learn and once you’ve managed to get the techniques down, you get a great exercise. It can be practiced with friends, family or alone and despite the choice of companion, it’s a very enjoyable sport, and you also get to spend time in a beautiful landscape. For those who are lucky and live in a country with high mountains, you can definitely enjoy skiing during spring and even summer, if you’re willing to go high enough, that is. The main thing to consider and that is a necessary item, is the ski jacket. Skiing without a proper jacket will take all the enjoyment out of the sport and could also be really dangerous, due to the low temperatures. There are many options out there, either online or in your city’s sport shops, and sometimes choosing the best ski jacket can be a tiring process, not to mention time consuming. Many of us do not have the luxury of time, therefore, we ask around, or refer to articles online, to learn more and understand the features of the ski jacket. If you’re looking for a guide on how to choose one, what to look for and understand different features, then this is the article for you. When buying a ski jacket, there are two main things that must be considered: what will the weather be like and in which area you are going skiing. The reason for these two questions is that it will narrow down the necessary features for the ski jacket you are looking to buy. So depending on the weather and area, you can make a smart choice that will keep you warm, dry and comfortable. First of, we are going to make an introduction to the different types of ski jackets and also get into detail about each type. Then we’ll talk briefly about the jacket fit. Lastly we’re going to discuss the various features that a good ski jacket must have. Shell jackets are lightweight jackets, which are used as the outer layer of your ski outfit. They are designed to allow a lot of freedom while moving, so if you’re an active skier or snowboarder, shells are a good choice to consider. The outer material is waterproof, meaning that it will keep you dry even if you are a beginner and practicing skiing mostly face down in the snow. They are also very breathable. However, shell jackets are not insulated, meaning that they do not provide much warmth. So if you are someone that gets cold easily, or are going in a cold area, then shell jackets are not a good choice. They are the cheapest though, so if you layer the clothes underneath properly, then a shell jacket should be considered, especially if you are not planning on spending much or are not a frequent skier. Down jackets are made of natural duck or goose down feathers. They are suitable for very cold weather, since they heat up quickly and retain the warmth longer than any other type of ski jacket. However, being too warm for too long will cause your body temperature to rise and perspiration to begin, which mean that you will need a highly breathable jacket. Which the down jackets does not comply with. The weather should also be dry, so if you are going to spend time in heavy rain or snow, then this is not the jacket for you, since, when wet, the down jacket takes a long time to dry. These jackets are made of a synthetic down-mimicking material, designed to keep the warmth and provide insulation, while being less bulky than the down feathers. The fabric on these jackets is waterproof and also breathable, which is great for those who are going to spend the day being active. The downside to these jackets is that while it will heat up and retain warmth, they do also tend to lose the warmth quicker than down jackets. The 3 in 1 jacket is a combination of the shell and insulated jackets, with a detachable padded inner jacket. They are waterproof, due to the outer shell, breathable and the ideal selection when it comes to a ski jacket that has it all. It is a versatile jacket, which can be worn as a shell jacket, or just the inner jacket on its own, depending on the weather conditions. They are usually snow proof as well, with taped seams and snow skirts, which will protect against the snow, in case you might fall or get caught in an avalanche. One-piece ski suits are a combination of ski pants and jacket together. They are great for skiing in wet conditions or areas where it snows heavily, due to the waterproof fabric that they are usually made from and because the insulation in this case is perfect, with both pants and jacket being fully insulated from ankle to sleeve cuffs, which ensures that you will remain warm and dry no matter what. Several jackets offer the option for being joined with most ski pants, so they can form a ski suit, even if they have not been purchased together. When it comes to jackets, fit is a matter of preference. Based on what you like and what you feel most comfortable in, there are several options you can choose from, such as slim fit jackets, regular fit jackets and loose jackets, with several options in between, so you can find the one that really suits your style and needs. Now that we are done with the types of jackets, it is time to discuss the features that you should look for in a good ski jacket. 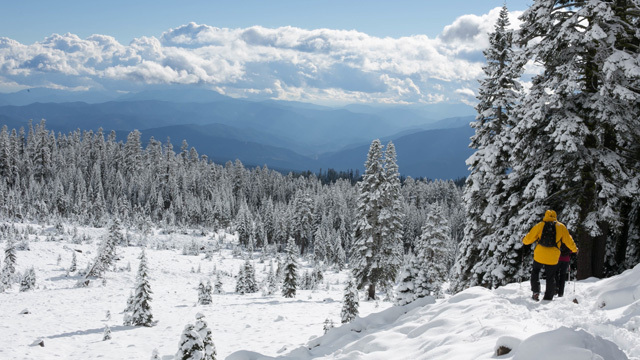 Breathability is a main thing to consider when purchasing a ski jacket. If you tend to overheat and sweat too much, then a breathable jacket is a must. The reason for this is that if perspiration does not leave the body, the inside of the jacket will become damp, and combining that with the low temperatures, will not only make it uncomfortable, it is also dangerous because you run the risk of hypothermia, compromising your health. So look for a breathable jacket if you are going to be very active, or are a serious skier or snowboarder. Breathable jackets come with porous material, allowing the perspiration molecules to leave the inside of the jacket. However, you must consider the clothes you are wearing underneath the jacket, as well, so you need to wear clothes that allow for perspiration to leave the body. When it comes to insulation, apart from the jacket’s material, either down or synthetic, there are additional things to look for. The hood needs to be adjustable, with drawstrings, if possible, and if you can tolerate it, a high collar in necessary to provide the most protection against the weather conditions. Then it’s the zipper, which should be a covered one, so the cold and rain or snow cannot penetrate on the inside. However, there might be zippers that have an inner flap, so look for that too, in case the zipper is not covered on the front. Ideal zippers would be double flapped, which offer maximum protection during heavy snow fall or storm. Welded seams (no stitched seams). Another feature is the snow skirt, which prevents the snow from entering from underneath the jacket. The sleeves should also be checked on the wrists, to see if there are Velcro, elastic or snap closures, knitted or synthetic inner sleeves, which will provide an additional protective feature. An additional insulating and warmth-providing feature is the fleece lining in some ski jackets. Fleece is good because it works well as an insulator and it’s a really warm material, also very comfortable due to its softness. You could also check if the jacket you are looking to purchase has any options of being attached with your ski pants. This will provide the utmost insulation and protection. Water repellent jackets are treated with a water repellent finish to protect from light rain and light snow. It allows for water to roll off the outer surface of the jacket. A waterproof jacket is made of waterproof fabric and has taped seams, to ensure that water can not get inside the jacket. If you are planning to spend time in a dry area or with light rains, then a water repellent jacket is a good choice, however, it will not provide protection against blizzards or heavy snow. Also, if you are a beginner and run the risk of falling in the snow, a waterproof jacket is the best choice. When you come across a jacket or fabric that is waterproof, there are several numbers, written in millimetres. These numbers are called ratings and they measure the waterproof resistance of the fabric. 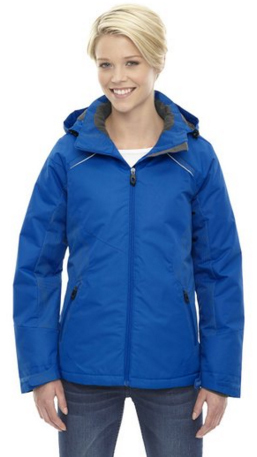 From 0-1500mm, it is considered a water resistant jacket, good for dry conditions and dry snow. 1500-5000mm, it is a considered waterproof, good for average rain and snowfall. 5000-15000mm, it is highly waterproof, so it can endure moderate to heavy rain and snow. 15000-30000mm, it is completely waterproof. Water repellent and waterproof features in a jacket are a must, especially if it’s a breathable jacket and the weather is not always dry. This is all the more important when it comes to skiing jackets. Comfort is a very personal matter. The best advice would be to try the jacket on before buying, but with the modern day shopping online, this is not always possible. However, always keep ratings in mind and read customer reviews, as well as manufacturer’s description of the item, to ensure that you are making the right choice. While looking for a ski jacket, keep in mind the size and feel of it. Do you want a lightweight jacket? Or a bulkier one that keeps you warmer but limits the movement? Depending on the activity and preference, there are many things to look for. Collar height, for starters. Whether you prefer a low or high collar, it should be soft and smooth, so it won’t damage your skin and with proper insulating qualities, for when the bad weather comes around. Movement is another issue to consider. It should be a jacket that allows a good range of motion, while remaining in place and keeping you protected. What about the hood? It must be adjustable, with drawstrings, so it can cover the head properly. There are three types of hoods that can come with your ski jacket: attached hood that cannot be removed, a detachable hood and a stowaway hood that can be tucked inside the jacket. Also check the sleeve length and width. They should be the appropriate size and ideally with an inner longer sleeve with a thumb opening, so you can wear it properly. This will also provide additional insulation, so wind and rain will not be able to enter the jacket from the sleeves. Also, is it suitable and comfortable to wear with ski gear, such as the helmet and goggles? Look out for these things, because after all, no matter how warm or light a jacket is, if it doesn’t fit properly and feel good to you, then it will not allow you to enjoy yourself while skiing. With all the features and necessities of a good ski jacket explained, it all comes down to what the jacket looks like. This all preferential. Some might prefer bold colors, while others are more classic in their choice. There is a wide variety of designs and looks that a ski jacket can offer, so depending on your preference and the way you feel, the choice is all up to you. Whether you want to look as confident as you feel or if you prefer to keep it on the down low, find the jacket that suits best with what you are looking for. Ski jackets are not just a protective clothing item, they must also be functional. There are several additional features that a ski jacket must have, apart from the good and proper material. Pockets are a necessity when it comes to ski jackets. There are pockets on the outside and also on the inside of a ski jacket, which provide enough space so you can carry your necessities with you. You can carry your phone and with specific mp3 pockets, you can enjoy skiing while listening to your favorite music. There are also pockets for your goggles, gloves and the most important, the ski pass pocket, so you will have a safe place to keep your ski pass. The pockets close up with zippers which are usually covered, ensuring that snow and rain can’t get inside them, thus damaging your personal belongings. When you are out and active, overheating is a main issue, and ventilation pockets help to cool you down when that happens. They are usually located under the arms and open with zippers, for easier access and practicality. 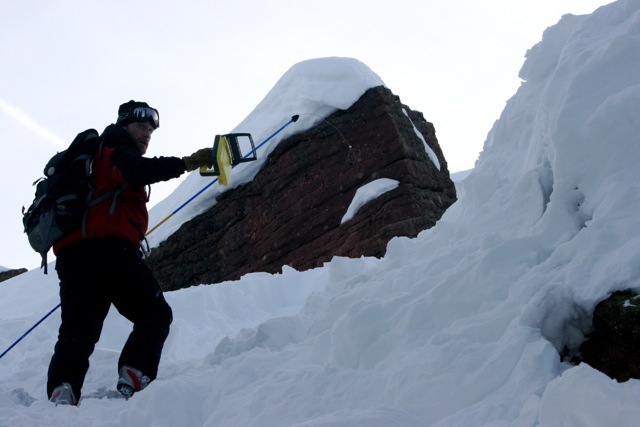 RECCO reflectors are a modern day technology, which allows rescuers to find people that have come across any danger or have been caught in an avalanche. They are used to rescue people who have been buried in snow, and cannot dig themselves out and are also invisible from the surface. RECCO reflectors are located on the inside or the outside of the jacket. Another good thing that comes from this technology, is that the receivers will pick up any electronic device you might be carrying with you, therefore increasing the chance of you being located and rescued. Be sure to look for a ski jacket with RECCO reflectors, in case you are skiing in an area that has a high avalanche risk, or if you are someone who enjoys going off track. With all that being said, we have come to the end of our guide on how to select the best ski jacket for your preferred sport. Skiing is fun and enjoyable, and such should also be preparing for it, in our opinion. Now you have all the knowledge and features to look for, so you can have a safe, warm and comfortable skiing experience. We are confident that after having read our article, you are ready to make the right choice for you. As you see, it is not as difficult or as complicated as it seems at first. Keep in mind the basic necessary features that a good ski jacket must have and then, when it comes to additional features, it is all up to your preference.